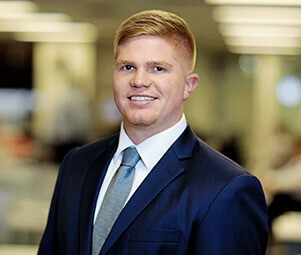 Cody L. Schooley specializes in advisory consulting for the disposition and acquisition of bank investment properties and single tenant net leased properties nationwide. He prides himself on his unwavering commitment to meeting his client’s immediate needs and long-term financial objectives. Marketing and property selection is business-critical in today’s robust economy, and Cody leverages Matthews™ technology and provides the highest level of execution to his clients. Cody and his team also utilize extensive market knowledge, resources, and relationships to build and preserve his client’s wealth through their commercial real estate holdings. Prior to Matthews™, Cody worked in sales at West International Medical Supplies where he provided medicine and supplies for cruise ships out of South Florida such as Royal Caribbean, Carnival, and Norwegian.